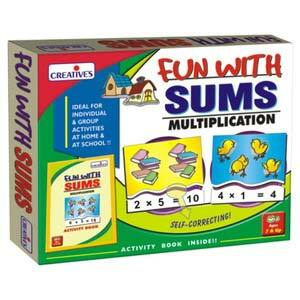 Fun with Sums makes learning maths fun. It helps in developing observation skills, and helps children to count so that they can multiply different numbers that match the pictures and develop elementary math skills. It arouses interested and helps in understanding the basic principles better.